That special time of the year is almost here, and we wanted to thank you for your kind support! Let these holidays and the coming year give us all more strength, power, will and happiness so we all can reach new heights and horizons. We are so happy to produce good software for great people – for You! How do you celebrate Christmas? Comment and share with us. Some PDF files come with restrictions that limit our work. We can’t print, copy or edit the content of an encrypted PDF file. And this could be the case even when you have the legal right to modify the document or copy from it. So in such situations, the best way out is to remove PDF password security and restrictions. 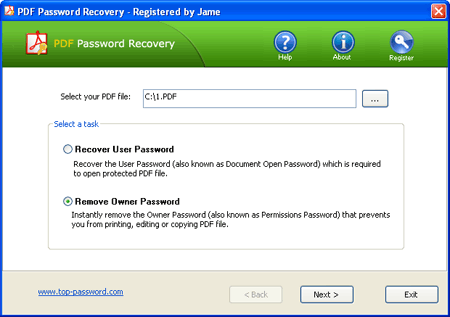 With PDF Password Recovery tool, you can instantly remove all PDF restrictions on printing, copying and editing. And this tutorial will show you how to remove PDF Permission Passwords (also known as Owner Password) and Get access to password-protected PDF files quickly and efficiently! 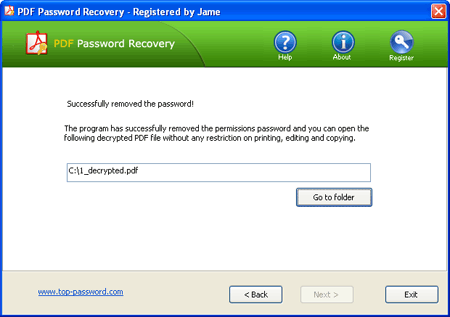 Click here to download the latest version of PDF Password Recovery package. Install it on your computer, then launch PDF Password Recovery program. Click the … button to select your protected PDF document you haven’t permissions to print / copy / edit it. Select the Remove Owner Password option, then click Next button. The program will remove the PDF restrictions immediately. You should now see a copy of your document that can be opened without requiring a password. I’ll admit it. I’ve used the same password for many of my online accounts, which is terribly dangerous in today’s online-driven society. I changed this unsafe practice by coming up with a very unique system and in this article I’ll show you how to create unique and easy-to-remember passwords for all your online needs. Imagine for a second having the same password for all your accounts, and somehow (either using social engineering or other tactics, such as a key logger) someone gets a hold of it and has locked you out of everything. Your Gmail, your online banking accounts, your goDaddy account and your domains, etc. Now imagine trying to regain possession of all of these accounts. Surely, a nightmare. In an ideal world, we would have different convoluted (numbers, lower-uppercase, symbols) passwords for every single one of our accounts. Now, at least for me, it would be impossible to remember all of these given the numerous online accounts I’ve got all over the internet. Sure, you can use a program that automatically stores and fills in unique passwords for you, such as Roboform, but just imagine how horrible it would be if, one; your computer caught on fire or got stolen, all your passwords are all gone! Two: if someone got discovered Roboform’s master password. Either way, you’re screwed. Now imagine a system where you would have easy to remember AND unique passwords for every single account. I’ve come up with the perfect solution. I’ll give you an example of how to achieve this, but remember, just create your own unique way. Just bear with me. First of all, think of 2 memorable short words and a number. You can use 2 of your current passwords, just to keep things simple, and a number. We’ve got dogred37. Remember, play with upper-lower case combinations. Now there you have it. Unique and easy to remember passwords. You’ll never have to click the “forgot your password” link and wait for an email in return EVER AGAIN! Even worse, you won’t be tempted to write down your password on that sticky note on your monitor. Create your own system. Be creative, but not too creative, where you won’t remember your own combination. Keep it simple. Please share (without revealing, obviously) how you create and remember passwords in the comments. 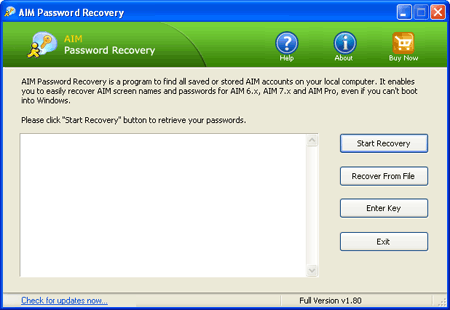 This is a totally new release of our award-winning Asterisk Password Recovery program with two major enhancements which were not available in any previous version. Add support for Internet Explorer 9 (both 32-bit and 64-bit). Ability to reveal asterisk passwords hidden behind the 64-bit applications. All the users who purchased version 1.0/2.0 can update to 2.1 for free.